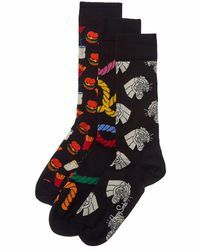 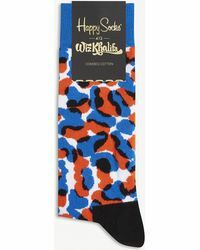 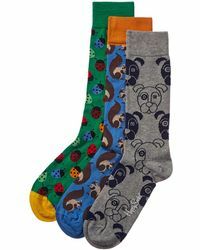 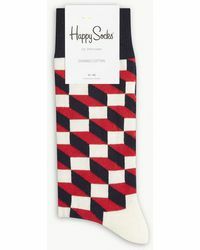 Happy Socks started out in 2008 in Sweden as a brand intending to take every day items and add a colourful approach that makes them just a bit special. 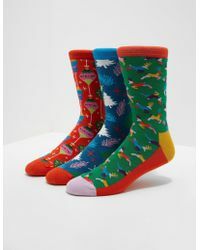 The label believes that a great pair of high quality socks and underwear exists no matter what the occasion or the mindset or style of the wearer. 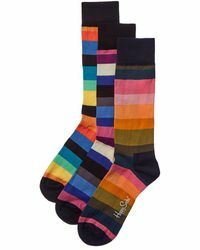 If you're looking to ensure that your outfit is complete right down to the tiniest detail then make sure you've got Happy Socks on underneath. 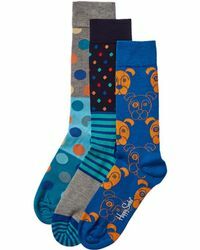 The underwear line from the brand includes a very wide range of different patterns, including Argyle designs, zebra-print socks and large polka dots. 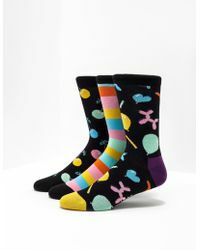 Trunks and boxers are created in the same way with colours and bold prints as standard across the board.